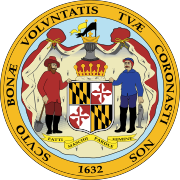 The 2018 United States Senate election in Maryland took place on November 6, 2018, in order to elect a member of the United States Senate to represent the State of Maryland. It was held concurrently with other elections to the United States Senate, elections to the United States House of Representatives, and various state and local elections. Incumbent Democratic U.S. Senator Ben Cardin was re-elected to a third term. The primary election for the Senate race was held on June 26, 2018. The incumbent, Ben Cardin, won the Democratic Party primary. In the general election, Cardin was reelected to a third term. Tony Campbell, a professor of political science at Towson University and former Army Chaplain, won the Republican Party primary. If elected, Campbell would have become Maryland's first African-American U.S. Senator. Businessman Neal Simon ran as an independent and Arvin Vohra was the Libertarian Party nominee in the general election. There were also several official write-in candidates such as Michael B. Puskar, who ran as an independent. On October 7, 2018 Cardin, independent candidate Neal Simon, and Republican candidate Tony Campbell participated in the sole televised debate of the campaign. ^ "United States Senate election in Maryland, 2018". Ballotpedia. Archived from the original on May 2, 2018. Retrieved June 15, 2018. ^ "Maryland Primary Election Results". New York Times. June 28, 2018. Retrieved October 18, 2018. ^ a b c d e f g h i j k l m n o p q r s "2018 Candidate Listing". 2018 Gubernatorial Election. Maryland Board of Elections. June 15, 2018. Retrieved June 15, 2018. ^ a b c d e "Candidates (criteria: 2018+Senate+Maryland)". Campaign finance data. Federal Election Commission. Retrieved June 15, 2018. ^ Jouvenal, Justin; Portnoy, Jenna (January 13, 2018). "Chelsea Manning files to run for U.S. Senate in Maryland". The Washington Post. Katherine Shaver contributed. Retrieved June 17, 2018. ^ "Chelsea Manning officially files for US Senate race". The Seattle Times. Associated Press. January 18, 2018. Retrieved June 17, 2018. ^ a b c d e f g Divilio, Daniel (February 22, 2018). "Candidate filing last call Feb. 27 (Pt. 2: Filing)". Kent County News. Chestertown, Maryland. p. A15. Retrieved June 27, 2018 – via Newspapers.com (Publisher Extra). ^ a b "Somebody's already using the 'E' word". Community. The Enterprise. St. Mary's County, Maryland. June 28, 2017. p. A8. Retrieved June 27, 2018 – via Newspapers.com (Publisher Extra). ^ Delaney, John (July 28, 2017). "John Delaney: Why I'm Running for President". ^ Siegel, Rachel; Wiggins, Ovetta (2017-10-05). "Former Maryland congresswoman Donna Edwards to run for county executive". Washington Post. ISSN 0190-8286. Retrieved 2017-12-14. ^ a b c Shurberg, Jonathan (June 7, 2016). "2018: Whither Ben Cardin?". Maryland Scramble. ^ a b "AFSCME Maryland Council 3 2018 Primary Guide". ^ a b "Afro 2018 endorsement guide". ^ a b "LCV Action Fund Endorses Ben Cardin for Reelection". League of Conservation Voters. May 30, 2018. ^ "NRDC Action Fund announces first wave of 2018 Senate endorsements". www.nrdcactionfund.org. January 5, 2018. ^ a b "Sierra Club #ClimateVoter Guide: Endorsements". ^ ContraPointsLive (24 March 2018). "Discussion with Chelsea Manning" – via YouTube. ^ The Jimmy Dore Show (15 January 2018). "Chelsea Manning Announces Senate Run - Democrats Smear Her" – via YouTube. ^ Secular Talk (15 January 2018). "Chelsea Manning Is Running For Senate, Smug Neoliberals Smear Her" – via YouTube. That's awesome," says Kyle Kulinski of Manning's bid for U.S. Senate. "That's awesome." Summarizing her campaign video, he says: "The government is screwing you. That's the essence of the message. ^ "Linda Sarsour endorses Chelsea Manning for U.S. Senate". The Washington Times. 16 January 2018. ^ "Faculty" (PDF). Faculty Resources. Towson University. October 31, 2016. Political Science. Retrieved June 15, 2018. ^ "2016 Candidate Listing". Maryland State Board of Elections. April 26, 2016. Retrieved June 15, 2018. ^ "2016 Candidate Listing". Maryland State Boad of Elections. April 26, 2016. Retrieved June 15, 2018. ^ Murphy, Jack (May 31, 2017). "Former CIA Officer Sam Faddis running for Senate in Maryland". SOFREP. Retrieved July 17, 2017. ^ Fritze, John (July 14, 2017). "Ben Cardin raises nearly $1M for 2018 reelection". The Baltimore Sun. Retrieved July 17, 2017. ^ a b "Twenty One State Senators and Delegates". Campbell 4 Maryland. June 13, 2018. ^ a b "Ellen Sauerbrey Endorsement". Campbell 4 Maryland. May 16, 2018. ^ a b "Campbell4Maryland". www.facebook.com. ^ a b "Former RNC Chairman and Maryland Lieutenant Governor Michael Steele Endorses Tony Campbell". Campbell 4 Maryland. June 13, 2018. ^ a b c "I Stand With Sam". Sam Faddis For US Senate. ^ Pyeatt, Jill (July 4, 2017). "Arvin Vohra, Vice Chairman of Libertarian Party, Announces Run for U S Senate". Independent Political Report. Retrieved January 13, 2018. ^ "Shlikas will fix it!". Shlikas for Senate. Retrieved December 20, 2017. ^ "Sen. Ben Cardin may get independent challenger backed by Centrist Project". ^ Fritze, John (February 6, 2018). "An independent candidate for Senate in Maryland says 'it's about change,' as the incumbent files for re-election". The Baltimore Sun. Retrieved February 11, 2018. ^ NCPSSM. "Candidates We Endorse and Support". ^ "Federal Endorsements by the NOW PAC | National Organization for Women Political Action Committees". nowpac.org. August 23, 2017. ^ Campbell4Maryland. "Tony Campbell has obtained the enthusiastic support of Dr. Ben Carson!". www.facebook.com. ^ "NRA-PVF". Campbell 4 Maryland. June 13, 2018. ^ a b "Campbell Releases New Endorsements". Red Maryland. September 27, 2018. ^ "FRC Action PAC Announces Endorsement of Dr. Tony Campbell for U.S. Senate". FRC Action. September 18, 2018. ^ "Statewide independents roll out national slate". EDWARD-ISAAC DOVERE. February 27, 2018. ^ "Cardin defends record in first Maryland debate for U.S. Senate". Washington Post. Retrieved 2018-10-08. ^ Dresser, Michael. "U.S. Senate challengers fault Cardin in debate for not solving problems". baltimoresun.com. Retrieved 2018-10-08. ^ "Maryland Senate Debate, Oct 7 2018 - Video - C-SPAN.org". www.c-span.org. ^ "2018 Senate Race Ratings". The Cook Political Report. Retrieved October 11, 2017. ^ "2018 Senate Ratings". The Rothenberg Political Report. Retrieved October 11, 2017. ^ "2018 Crystal Ball Senate race ratings". Sabato's Crystal Ball. Retrieved October 11, 2017. ^ "Key Races: Senate". Retrieved July 15, 2018. ^ "Battle for the Senate 2018". Retrieved July 15, 2018. ^ "2018 Election Results". elections.maryland.gov.